TECNALIA as a Vulkano partner has participated at the Sixth European Conference on Renewable Energy Systems (ECRES2018) organized in Istanbul/Turkey on 25th-27th June 2018. 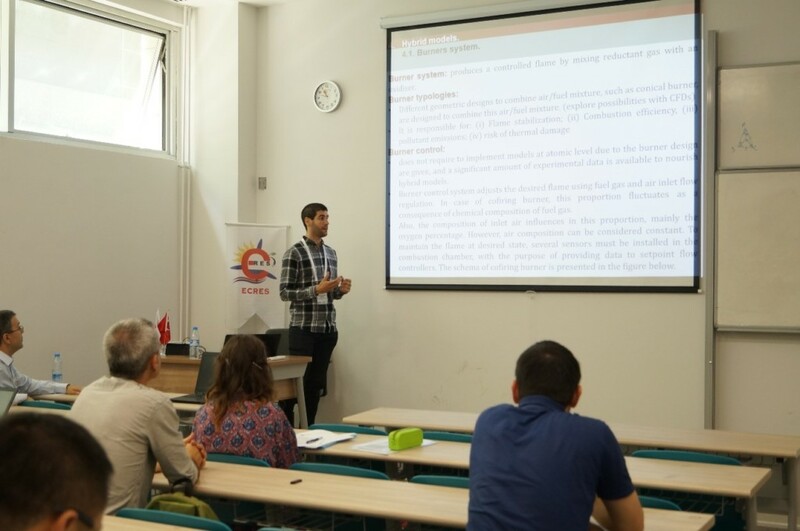 This event was organised by the local organisers Marmara University and Gazi University, and supporting technically the event several universities and research centres from all over the world. These conferences targeted energy as a core area. 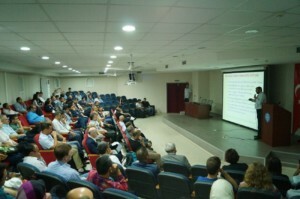 The main conference topics related to Vulkano project were related to: (i) Energy production and characterization; (ii) Combustion features; (ii) Heating systems; (iii) Energy and exergy analysis; (iv) Energy efficiency (v) recovery energy systems; (vi) Energy Application: Modelling, Design and Control. As a researcher in the VULKANO project, during the special session “Advances in Wind, Photovoltaic and Harvesting Systems”, Dr. Asier González-González, Ph.D. presented the project to the audience under the conference paper “Challenges of digital industrial furnaces for energy efficiency using syngas from biomass”. The conference paper presented dealt with new challenges on industrial furnaces to increase the efficiency, flexibility, and reliability. This conference paper suggests an efficiency improvement by increase refractory thermal insulation, a new design of energy recovery system and precise monitoring and control system. Also, flexibility is recommended by upgrading equipment to be compatible with different renewable energy sources and to be adaptable to diverse fuel composition. Also, it remarks the importance of increasing the reliability by selecting a right maintenance approach (corrective, preventive, condition monitoring).